“Herakleidon, Experience in Visual Art” opened its doors with an exhibition of works by the leading Dutch graphic artist M.C. 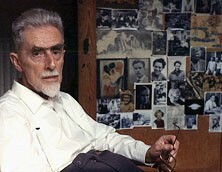 Escher (1898-1972), a defining presence in 20th century art. The museum’s collection consists of more than of 250 of his most important and rare works as well as woodcuts, mezzotints, lithographs, photographs of the artist, sculptures and many of his personal items. The great breadth of the exhibition will allow the visitor to discover the power of an artist whose work has been an inspiration for his peers around the world. M.C. Escher made many detailed drawings in preparation for carving wood, engraving copper or drawing on a lithographic stone. Although his best-known works are lithographs, many art critics consider his mezzotint “Eye” the best example by any artist of this art form. Throughout his life woodcuts and wood engravings were his favorite forms of expression, the culmination of his career being his last work, “Snakes”, a masterpiece in three colors, requiring nine perfectly aligned impressions in order to achieve the final print. The exhibition includes, among others, the full set of drawings and final prints of the woodcut “Depth” and the lithograph “Flatworms”, as well as the original woodblocks and the lithographic stone used for these by M.C. Escher. It is worth noting that this stone, weighing 40 kilos, is one of a handful of Bavarian limestone’s left in his estate, because the artist would scrub, polish, and then reuse them. On exhibit is also the three-dimensional cube used by the artist for the creation of his work “Cubic Space Division”. The M.C. Escher exhibition will be on display for approximately one year. All the works in the museum collection will not be shown simultaneously, the exhibits will change periodically. The M.C. Escher exhibition will be followed by others of works by Victor Vasarely, Alekos Fassianos and Carol Wax, collections that express the private museum’s founders’ love of art. The cultural program of the museum will include presentations to schools and other educational establishments. During the M.C. Escher exhibition the museum shop will have posters of his works, objects inspired by his work—watches, puzzles, ties, t-shirts, stationary etc.—and a special museum edition of the book “M.C. Escher, the Graphic Work”, in both Greek and English. This book is unique in the sense that the introduction and the explanation of the prints were done by M.C. Escher himself.